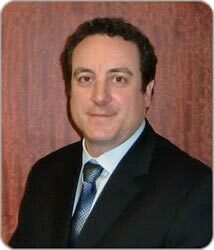 As part of its continuing expansion, Heritage Auctions of Dallas, New York and Beverly Hills, has joined forces with Gold Rarities Gallery of Bedford, New Hampshire, and the firm's President, Al Pinkall, has joined Heritage as Director, Numismatic Sales Department. A collector since childhood, Pinkall has been a full-time professional coin dealer for 25 years with extensive experience in high-grade and proof classic U.S. coins. In 2010, he acquired the rare coin and precious metal assets of another New England dealership, Ed Lee Certified Coins. "We have long understood that collector-investors who are acquiring expensive numismatic rarities appreciate the most candid, expert and ethical advice. Al Pinkall has earned a stellar reputation in the high-end numismatic community for providing that kind of service and expertise. We couldn't be happier that he chose to join us," said Todd Imhof, Executive Vice President of Heritage. 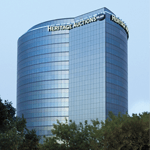 "The dominant market presence that Heritage enjoys as the third largest auction house in the world with over 600,000 registered bidders will help our customers realize the highest prices when they sell. Heritage's buying power can lower the costs for our clients who want to make purchases of anything, from common to extremely rare," explained Pinkall.